Lynn’s Animal Rescue is a small loving organization with a very hands on approach. We do everything in our power to bring the ill back to good health, socialize the shy and timid and find the perfect home for every cat. We will keep them until we do, even if it means forever. Where do our cats come from? Many rescues pull from high rate kill shelters. We, on the other hand, try to help them before they are brought to a shelter. The majority of our animals are found strays, owner surrenders or were lost or abandoned. We also are helping with a few hoarder situations. We are an animal rescue organization that aids in and facilitates rescues of animals in need. 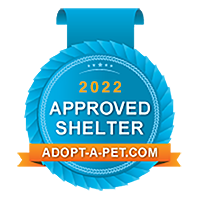 We take in owner surrenders, help in hoarding situations and rescue cats that have been abandoned. We are involved in humane trapping, aiding in humane trapping and educating potential adoptive parents and families in the proper ways to care for their current and newly adopted pets. We make sure all of our rescues are vetted, healthy, happy and properly suited for their new home. We build lasting and forever relationships with our adopters and have life-time return/placement for all of our rescue’s so that they forever have a safe haven. Although we can’t save the world by ourselves, we can do our part by taking care of our portion of it: by doing for the animals in need what they can’t do for themselves; providing safe haven, educating, promoting awareness and continuing the cause in the Southern New Jersey. We want to share our knowledge and expertise with others. We want to offer any guidance we can provide, aid others seeking knowledge and promote animal rescue by working together with others. Lynn’s Animal Rescue is going in a new direction! We have found a wonderful property that is so peaceful and private. It has four very large out buildings that are perfect for the cats! Unfortunately, they are not finished on the inside. They all need insulation and drywall. We also need to run gas lines to each building so we can install heaters. And that is going to cost a lot of money. Rest assured that donations are safe and secure and are 100% tax deductible. Please help us to raise the money to make the renovations needed. Winter is fast approaching we need to be sure our cays are warm throughout the winter. Did you see us? We were featured on the Shelter Me segment of Philadelphia’s Channel 6 “FYI Philly”. The photo to the left is reporter Tamala Edwards filming a promo with our very adoptable Emmie!